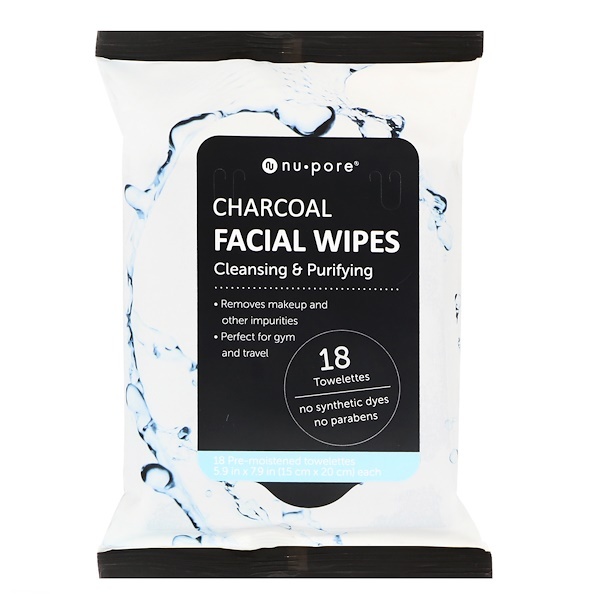 Nu-Pore Charcoal Facial Wipes quickly and effectively removes makeup, including waterproof mascara. Use daily to cleanse your skin, leaving it feeling smooth and fresh. 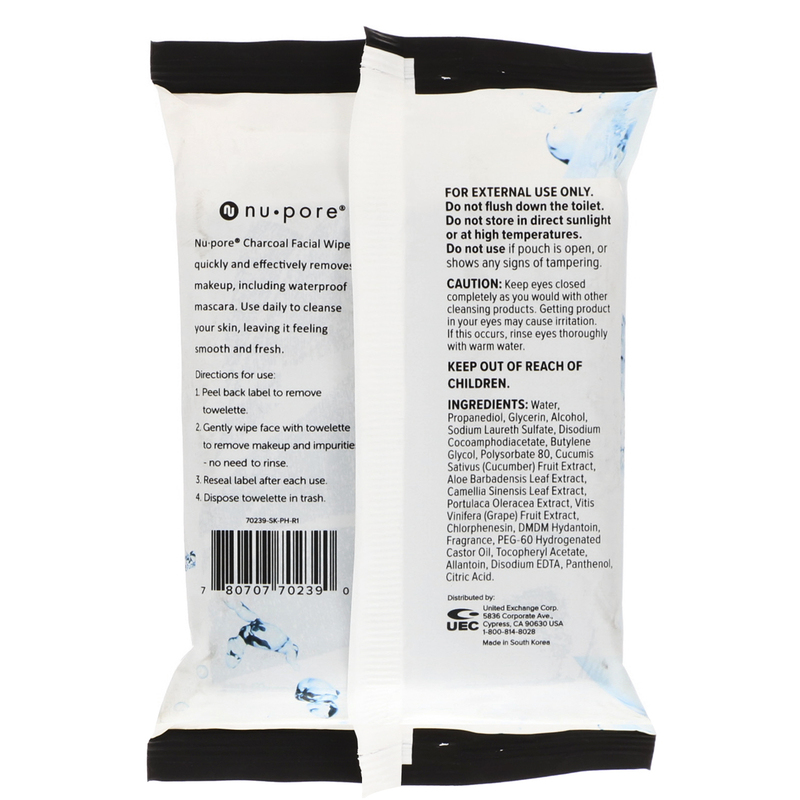 Peel back label to remove towelette. Gently wipe face with towelette to remove makeup and impurities - no need to rinse. Reseal label after each use. Water, propanediol, glycerin, alcohol, sodium laureth sulfate, disodium cocoamphodiacetate, butylene glycol, polysorbate 80, cucumis sativus (cucumber) fruit extract, aloe barbadensis leaf extract, camellia sinensis leaf extract, portulaca oleracea extract, vitis vinifera (grape) fruit extract, chlorphenesin, dmdm hydantoin, fragrance, peg-60 hydrogenated castor oil, tocopheryl acetate, allantoin, disodium edta, panthenol, citric acid. Do not use if pouch is open, or shows any signs of tampering. Keep eyes closed completely as you would with other cleansing products. Getting product in your eyes may cause irritation. If this occurs, rinse eyes thoroughly with warm water.